The last of the Summer Off-Road League fixtures seems a long time ago and it is therefore worth catching up on some notable Courier performances since then…and there have been a few. Forgive me if I have missed some out but I need to be told of your exploits if I don’t see them myself! I have asked Eliot and Dave to write their own reports on, respectively, their great international debut and stunning marathon performance [some 30 years after his last one and a few minutes quicker too!] Hope to see these in print soon! It was good to watch Matt carrying off first prize in the recent Hereford Festival 10K beating a big field and clearly sharpening up for the winter ahead. Geoff has, as always, raced sparingly but managed to get himself a couple of miles down the road for the Credenhill Canter where he took his category prize. He was not so amused to find that the award was described as for 1st Under 70. Won’t be long before he’s chasing the Under 80 trophy. Triathlon is luring not only Eliot, but the old Brylcream boy himself, Steve Littlewood, who scored a mightily impressive hat trick of age category victories in the Slateman, Sandman and Snowman all in North Wales and involving 400m swims in open water [sea in the Sandman], 5K runs over tough terrain and 12 [or 18 in the Snowman] mile bike rides. The water was a bit cold in the last one and the poor old boy suffered serious anatomical discomfort and has only just started to feel himself again. In addition to his Welsh exploits, he also gained a category 2nd at Droitwich and 3rd at Ludlow. They call him Podium Prince and he now has his sights set on a half Ironman next year. With Steve busy in the north, the Herring had a clear run in the South Wales Summer Series, notching the V60 title after easing round the Black Mountains 17 miler at a sedate pace a couple of weeks ago. 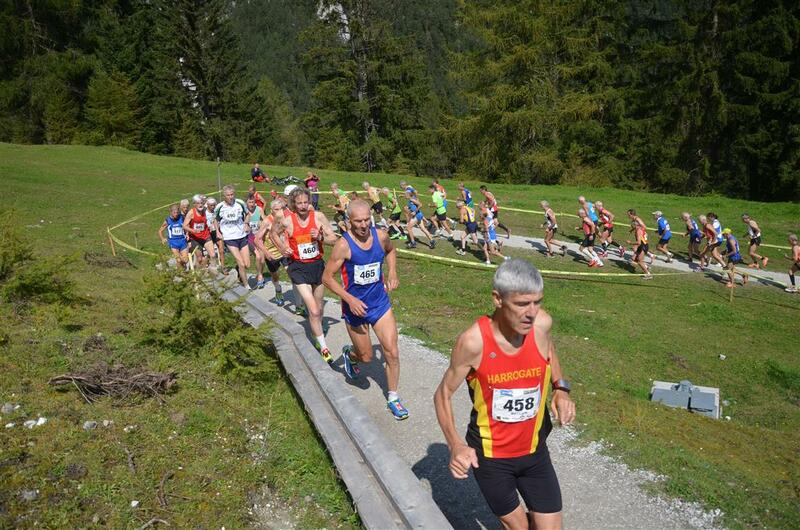 This followed a 16th out of 55 [and 2nd out of 6 GB] in the World Masters Mountain Running Champs in Telfes, Austria on a 4.5 mile course uphill for 2,500 feet and finishing at just under 8,000 feet. Nice fresh air but not enough of it! So, onward to the Winter Cross Country season when no doubt the ghost of Mike Link will be made flesh again to bathe in mud. We’ll miss Luke James and Larisa but there’s no reason why we shouldn’t have a great series. Let’s go for it! ← WINTER XC 2014/15 DATES and Others!